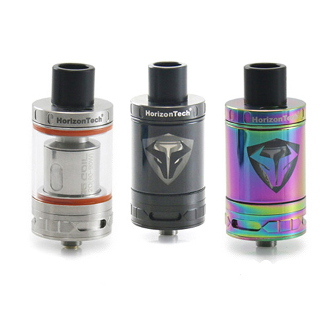 The Horizon Arco Tank is a highly innovative system that uses a cotton and flax paper liquid guiding design for their coils. The combination of cotton and flax paper makes for incredible flavor. The Flax paper is more absorbent than cotton and helps direct the liquid straight to the coil for improvement with dry burns, vapor production, and most importantly flavor. The Flax can take higher burning points and improves in flavor after being exposed to heat and e liquid. The Tank itself can hold 5mls of e liquid and has a rotating top fill feature. 1 Guitar Pick (for opening the refilling part when replacing the gasket).